Cove base molding is a fast and easy way to finish your new construction or remolded space with flair. Johnsonite rubber wall base will not shrink over time. 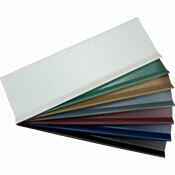 Rubber wall base is available in 36 colors. This makes finding cove base molding that is the perfect color effortless. Our rubber wall base is 4 inches tall and has a thickness of 1/8 inch. 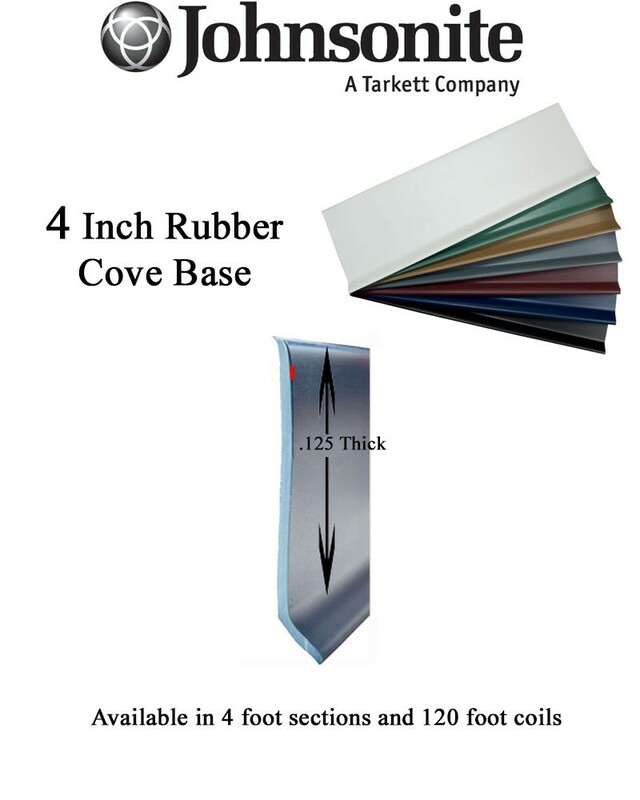 Cove base molding is sold in 4' sections to make installation fast and easy. Rubber wall base starts at just $4.81 per 4 foot section and there is no minimum order size. Cove base molding is offered in two profiles. The first rubber wall base profile is coved, meaning the bottom of the cove base molding has a toe and is best used with hard surface floors. The toe on the rubber wall base will hide imperfections where the floor meets the wall, and easily covers the gap required with floating floors. Use cove base molding without a toe in carpeted areas. Order a rubber wall base groover to make the formation of out corners quick and easy. Before beginning cove base molding installation, make sure the base of the wall is smooth, clean, and free of anything that would affect the adhesive. To install your rubber wall base use cove base adhesive or step tape for a lasting hold. Additional cove base molding installation tools are available to facilitate the installation process. Watch our rubber wall base installation video for additional information. Lead time, which is typically 1-3 weeks, depends on availability. Please call 866-258-1554 to check shipping times. Cost will change depending on color selection. Choose what you need in the options below to see updated price. In and out corners can be special ordered in full case quantities. Please call for more information. Item would be non-returnable. Order cove base molding today and add the perfect finishing touch to your latest remodeling project.